Top Story — Bolivian President Evo Morales announced on Sunday the revocation of a decree that had ended gas subsidies, after a week of protests and strikes from transport workers, neighborhood groups and other social organizations. 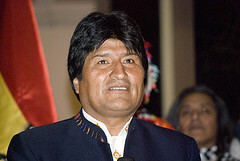 “I promised to govern by obeying the people,” Morales said, according to Spanish daily El País. 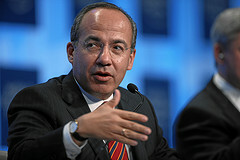 Bolivian diesel and fuel imports — mainly provided by Venezuela and Argentina — have increased steadily since Morales nationalized the sector in 2006, according to The Wall Street Journal. The government subsidizes the products’ high cost, but attempted to relieve itself of the responsibility last week, saying that smuggling made the policy costly and impractical. 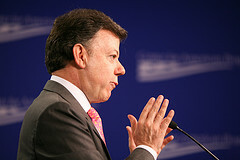 The controversial decree drove a wedge between Morales and the unions and social movements that form the base of his constituency. Bolivian Vice President Álvaro García Linera also said Sunday, however, that the government remains committed to ending the subsidies over the long term. In the future, he said, the government would implement the policy “in dialogue with the people,” Argentine daily Página/12 reported. Mexico will shake up its immigration institute after a year that saw many atrocities against undocumented migrants, including the killing of 72 Central and South Americans trying to reach the United States. The La Familia drug cartel allegedly circulated a letter Sunday announcing a one-month truce. Pfizer Inc. must pay $1.5 million to a pharmacist who developed breast cancer after taking one of the company’s menopause drugs, a jury decided in Puerto Rico last week. 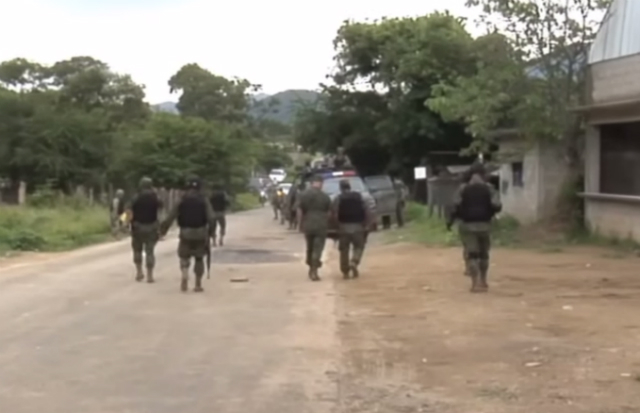 Nearly 3,000 undocumented Haitian immigrants fled the northern Dominican city of Santiago after local residents threatened to expel them over alleged criminal activity. Two Guatemalan police officers have been arrested for allegedly killing a youth gang member in the southern municipality of Villa Nueva. The former Honduran president who was ousted in a 2009 coup and later replaced by an elected successor has vowed to return to his country in 2011. New York’s Brooklyn Museum is preparing to return about 4,500 pre-Columbian artifacts taken from Costa Rica roughly a century ago. Venezuelan President Hugo Chávez rebutted claims that his government’s recent move to devalue its currency would lead to higher inflation. Ecuador’s President Rafael Correa offered to assist undocumented immigrants seeking to stay in Ecuador who provide information about corrupt police. 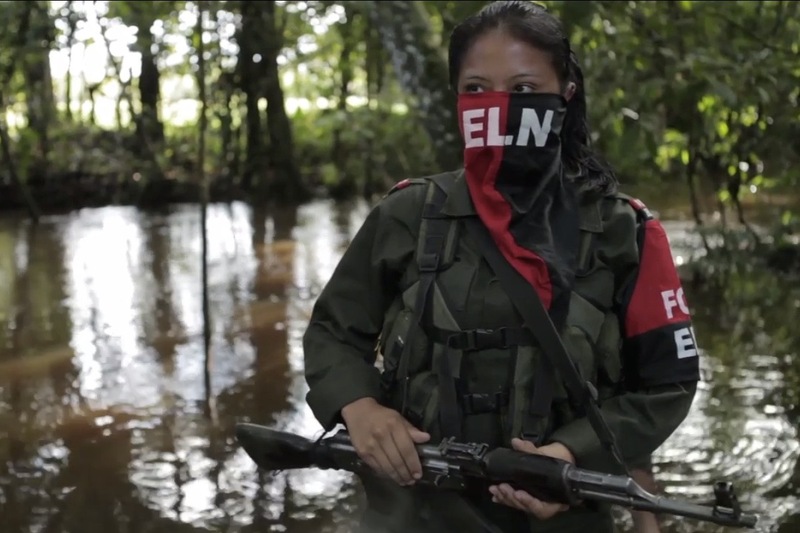 Four Colombian soldiers and a non-commissioned officer were sentenced to 40 years in prison each for kidnapping, torturing and murdering a woman whom they claimed was a guerrilla. Brazil’s new president, Dilma Rousseff, was sworn into office on New Year’s Day and held talks with foreign envoys on Sunday during her first full day in office. A 7.0 magnitude earthquake hit southern Argentina early Sunday morning. No damage or injuries have been reported due to the quake. The 7.0 magnitude earthquake that hit Argentina Sunday also rattled Chile, causing tens of thousands to flee the coast for higher ground amid fears it could generate a tsunami. Image: Sebastian Baryli @ Flickr.